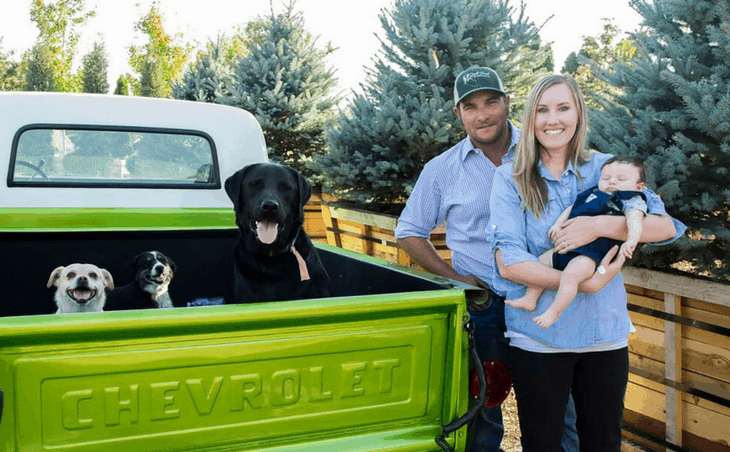 Meet Kelton Fleming, Owner of Duck Creek Nursery in Lodi, CA. As a second-generation farmer, he loves being able to work with this family every day. Learn more about Kelton, why being a small business has helped him in tough times and how proud he is of the plants he grows! Kelton: I moved down here when I was 18, right out of high school. My brother had started the business out in Farmington and I came out to help him and go to college. I wasn’t really planning on sticking with the nursery industry and I thought I was going to be something else, but I kind of got pushed into it a little bit since there was too big of a need for me to leave. Plus, I didn’t really want to work for anyone else. So I worked out there more and started taking over more of the operations. About five or six years ago, I took over all of the operation duties because my brother moved to Oregon, so I run all the day-to-day operations here now. After I took over, I moved the nursery from Farmington to Lodi in late 2012 and we’ve been here ever since. Kelton: I don’t know what typical is. My day starts with chatting with my employees and going over what the day’s tasks are, answering and making phone calls and returning emails since I’m in and out of the office all day. I also contact suppliers and customers and there’s always another project on the horizon and projects we’re trying to wrap up – for example, one of these days I’ll finally finish replacing all my shade material for my shade house. Kelton: When we were out in Farmington, my brother and I were volunteer firemen, so that took a lot of our time. We’ve donated a lot to the fire department as far as plants and stuff for their pancake breakfasts and events. Now, my focus has been primarily with the Farm Bureau and donating my time to them, whether it be serving at wine tastings, setting up and taking down for events, etc. We also do that for the Young Farmers & Ranchers and it’s been a lot of fun. It’s all about making sure that people are aware of what we do because we do have some public outreach that we do during the holidays with canned food drives, delivering meals and things like that. Kelton: I’m a second-generation farmer and we grew up on a hobby farm when my dad was working at Schmidt’s Nursery up in Oregon. Then he went out on his own and it was tough when the economy fell apart, but it’s been great to work with my family on a daily basis. I don’t get to see them all that much, but at least there’s that contact with them every day. Plus, my beautiful wife Rachel works with the Farm Bureau and definitely cares about the issues we face every day, so I’ve enjoyed learning from her as well. Kelton: I do a lot of traveling, but I feel like the nursery is kind of like my hobby. I’m a new father and my son is eight months old, so he’s my hobby too. I also like to attend events and baseball games when I can. I do love to go and see the Stockton Ports, which is the minor league baseball team here in town, so that’s always fun. Kelton: It’s tough to encourage someone to be broke, but it’s really a neat industry to be in and it’s a lot of fun. With the different nuances, things are always changing whether it be the seasons, where and when we have to get projects done, etc. You just have to enjoy what you’re doing. Kelton: I’m a really small operation, which gives me a lot of flexibility to react to my customer’s needs. I don’t have to tell them “no” on things, I can actually go out and see what I can provide for them. And I’m never stuck doing the same thing and I’m able to go all over the state from the Bay Area to Tahoe to Reno. Kelton: Right now, I would say sticking in this for the long haul. When the economy came tumbling down, being small, being flexible and being able to change our business model a little bit really helped us. Going forward, I want to keep that up and now, I just want to sell even more plants. Kelton: Getting to see the finished product and hearing from my customers about how much, their customers loved the plants and how easy things worked for them. If I can make their job easier, they’re going to keep coming back to me and I’m going to be able to keep doing what I’m doing. That’s what I take the most pride in is when people are excited about what I’m providing. Kelton: That’s a good question. I keep a very clean yard as far as wholesale nurseries go and I try to keep the weeds down, spray for bugs, etc. I have the inspectors come by and I get compliments from them. I actually just had my yearly inspection and I didn’t have any issues. I’m not really an innovator, I’m just trying to do my best every day.